Tonight’s guest blog post, on the topic of eBooks is brought to you by crime fantasy and mainstream crime fiction author Dave Sivers. Are eBooks fracturing the writing ‘family’? Most writers are keen observers. We like nothing better than to see how different people respond to different circumstances. For me, ever since the eBook revolution really began to take off, with opportunities for writers to directly publish their work to the eBookstores for little or no financial outlay, it’s been fascinating to see how the battle lines have been shifting. In the early days of eBook self-publishing, it was no real surprise to see publishers and agents doubting it would catch on and pointing out the advantages that their roles as the ‘gatekeepers’ of the publishing world offered to writers. But it was also pretty obvious that, if everyone direct-published and the physical book died a death (I don’t think that will happen for a long, long time), those people would soon be out of a job. A threat to one’s livelihood is bound to provoke a reaction. What has surprised me more is the way self-published eBooks are dividing the writing fraternity. I’m not just talking about a healthy difference of opinion. Some commercially published writers are quite vitriolic in their blanket condemnation of those who take the new route to publication. Not so long ago, writers who had enjoyed a bit, or even a lot, of success were only too ready to share their experience and tips with those who were still working at it. At writing conventions, published and unpublished writers often socialised like an extended family. Now the revolution has come, and very many commercially published writers have indeed embraced eBooks and offered encouragement and support to self-publishers. But some seem to have adopted more of a ‘them and us’ approach. There is a body of opinion out there that condemns all self-published eBooks, almost without exception, as ‘crap’. It insists that those who write such books have no right to call themselves ‘authors’; and that they should call themselves ‘self-published’, not ‘independently published’. Part of this concern is that direct self-publishing allows writers to flood the market with so many ‘bad’ self-published eBooks that it can be hard to find the ‘good’ stuff. Interestingly, it’s not only the commercially published who are saying this. 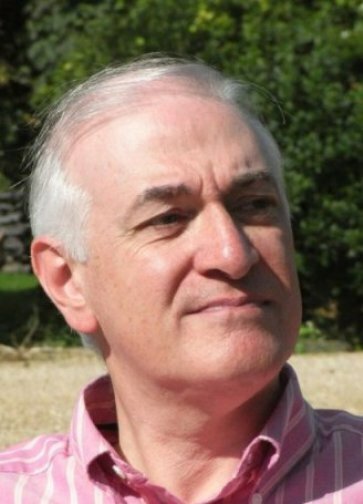 At least one successful self-published eBooker who was picked up by a commercial publisher now says he never felt like a ‘proper’ writer until he got that deal. I have even seen a couple of self-published eBookers insisting that their stuff is fabulous, but the rubbishy rest is hiding their brilliance from would-be readers. There’s no denying that the ease of self-publishing must tempt some inexperienced writers into publishing before either their craft, or their book, or both, are ready. And I have no difficulty in accepting that the professional input of an agent or an editor can only help. This does not mean that every book that does not go through the traditional process is without merit. Many self-published eBookers do submit their work to serious scrutiny by critical and knowledgeable readers, including experienced writers, to help them make their book the best it can be before finally publishing. The obvious weakness with condemning all writers who have not been commercially published is that even the top writers have known rejection. They and their books were not ‘bad’ up to the moment they were accepted and then miraculously transformed. Yes, the input of an editor may have made a difference, yet most of us have still thrown our share of commercially published books across the room. Commercial publishing does not have an absolute monopoly on quality, and self-publishing does not have an absolute monopoly on trash. What about labels like ‘author’ and ‘indie’? This side of the debate has echoes of the recent row between Austria and Slovenia over the Krainer sausage. It’s of academic interest to some people, but the real issue is what the sausage tastes like. Let me say straight away that I am clear that I am the ‘author’ of my work, but I tend to describe myself as a ‘writer’. If my writing comes up in conversation, and I am asked if I am an author, I usually say, ‘Yes – I’m a self-published eBooker’. And I make no apology for it. I suspect there are many reasons for these attacks. They undoubtedly include a genuine belief that published writing needs to earn some sort of professional seal of approval. Some may slightly resent the fact that they had to get past the gatekeepers, only to find these self-publishing upstarts sharing the eBookshelves with them. There may even be a touch of elitism, a sense that the self-published are a second-class rabble. Whatever the reasons, my worry is that writers who launch sweeping and savage attacks on other writers may have forgotten that most writers, like themselves, have dreams, a strong desire for their work to be read, and fragile egos. Whether they submit that work to an agent, show it to a critical friend, or self-publish for all to read, they are laying those egos on the line. Other writers are the last people who should sneer at them. My crystal ball tells me that the self-published eBook genie is out of the bottle and will not willingly go back into it. It will take time to figure out the best ways to enable readers to identify the books they’re most likely to enjoy, but my guess is that eBook readers will gradually gravitate towards those on-line reviewers they most trust for recommendations. I took the eBook plunge because I had received strong, positive feedback on my novels from serious people and because I wanted people to read them – that’s why I wrote them in the first place. It’s for me to do my best to promote them and for the readers to decide if they like them. Do I still dream of one day seeing my titles on Waterstone’s shelves? You bet! Do I feel that not being commercially published makes me less of a proper writer? Sorry. No. Morgen: Being a self-published eBooker myself, no apology needed here although a downside to eBooks is that a minority (I’m hoping) of authors do the editing themselves and have no-one to be their back-up eyes. I have a very good editor and two first readers and as you know, Dave, belonging to a writing group is a must. Providing an author gets constructive feedback and not just “that’s good” or “I don’t like that” then they’ll learn where their strengths and weaknesses are. Thank you, Dave! Dave Sivers grew up in West London, England, leaving school at 16 to start a successful civil service career. Over the years, he has gained a First Class Honours degree from the Open University and moonlighted as, among other things, a night club bouncer, a bookmaker’s clerk and a freelance writer. His published work includes short fiction, magazine articles and newspaper columns, and he has also found some success with stage and TV material. Since taking early retirement from the day job, he has devoted more time to his writing, which includes both crime fantasy and mainstream crime fiction. 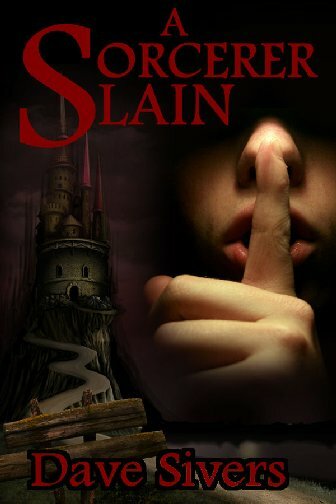 His short mainstream crime can be sampled on his website, and his crime fantasy novel, A Sorcerer Slain, introducing personal inquisitor Lowmar Dashiel, is available as an e-book at the Amazon Kindle Store, Smashwords, Barnes & Noble and all good e-book stores. Dave’s website is http://www.davesivers.co.uk and you can also read his author spotlight. The blog interviews return as normal tomorrow morning with novelist and screenwriter Mary Firmin – the three hundred and eighth of my blog interviews with novelists, poets, short story authors, bloggers, autobiographers and more. A list of interviewees (blogged and scheduled) can be found here. If you like what you read, please do go and investigate further. And I enjoy hearing from readers of my blog; do either leave a comment on the relevant interview (the interviewees love to hear from you too!) and / or email me. Hi Dave and Morgen. This topic of self-publishing, traditional publishing, and e-book publishing is growing rapidly on many sites and conferences. If I may, I’d like to share some information about my journey into the publishing field. I just returned from a writers conf. in North Carolina where I was the key-note speaker on just this topic, traditional vs. self publ. I explained my experience and why I stuck it out for a contract offer and traditional publishing. I write mystery suspense and many of the agents and publishers submission requirements state that they will not consider manuscripts submitted by authors who have self published any prior work. I was also on a panel at Mystery Writers of America Sleuthfest conference in March. The panel was virtues of a small publisher. I had no idea the session would draw such a crowd and lively discussion. Anyway it got into a heated debate about self pub/trad pub, e-book, etc. There were many agents and publishers in the audience who verbally agreed that they wouldn’t consider authors who had previously self-published but then went on to contradict themselves and say that self-publishing opens doors and gives a writer an opportunity to prove themself with sales of books sold. Confusing, huh? Also, e-books were a hot topic and the big publishing houses admited they are in a learning curve and can’t compete with Amazon’s low prices. There also seems to be a misconception that all e-books are self published which is completely untrue, self published books are also available in print. So in closing, all I can say is that each author has to go with what publishing avenue is best for them. Dear Dave: I’ll call you by your first name because I feel you have just stated my position on E-Books. The so called crap is with the person who does not want to do a good job writing. My work is honestly slaved over to achieve the correct results. I am not happy with the amount of people who place their work out in public, that should have had another years work on it before it was published. It only makes a person who really sincerely strives for perfection weaker. Morgen and Dave are both right in that what is now needed are reviewers readers can get to know and trust. But I know that as both publisher and author it is extremely difficult to find independent reviewers at the moment. Especially as at the moment reviewers do it largely for love. So…. there’s a market here for someone to set up a pay-to-view review site and employ reviewers. Any takers? What I meant, Dawn, was that here is a business opportunity. Someone with an entrepreneurial bent could set up a pay-to-view website and employ a team of reviewers. You might need to charge a token amount to begin with, but once the website has a reputation, along with the tatse of its reviewers established, then they could start charging per view. I don’t have the time to start such a scheme. But that is what is needed. Newspapers now, even some of the broadsheets, can’t afford to hire reviewers except on a freelance basis, which is why so few new authors get reviewed; and often when they do one suspects, not knowing the reviewer’s name, the review’s by a mate and therefore worthless. Morgen, this was a wonderful, enlightening interview. I am indeed seeing and reading a lot about how this has completely divided those who are already well-known authors that seem to have a true dislike for e-publishing. Yet, the publishing world still wants to seem hyper-critical of those who may write excellent books that continue to get thrown in the slush pile. I’m an aspiring mystery writer, toiling away at editing & re-editing my book in an effort to make it absolutely polished to perfection. Will it be rejected? Perhaps. Am I now considering also self-publishing? Yes. Simply the most intelligent piece I’ve read on this much-debated subject. Thank you for this Morgen, Dave. What an interesting post, Dave, and thanks for hosting it, Morgen! I’ve been watching the polarisation in the writing community with some dismay. When I first turned up on the scene a year ago now, there seemed to be a great spirit of ‘authors in this together’, ‘authors unite.’ Now, it seems that it’s very much them versus us, which greatly saddens me. I’m sure that there are ‘indie’ books out there that aren’t making the grade. But I’d like to point out also that I have read my share of ‘traditionally’ published books that didn’t make the grade in my eyes, either. To me, this suggests that the whole process is somewhat haphazard, and rejection by ‘traditional’ publishers does by no means indicate that a book isn’t worthy. If a writer feels strongly enough about their work to produce a cover, get marketing, have it reviewed and scrutinized… well, then I think they deserve respect and time and a good luck, however they publish. I’ve found typos in traditional books but forgiven if the story’s been good. Writers say Dan Brown (and some JK Rowling) isn’t a great writer but a great story teller, and I think that’s what it’s about. Thanks everyone for the interesting and positive feedback so far. I’d hoped to provoke some debate, and it’s clear that by no means everyone has negative feelings about e-books. I wouldn’y say it’s all them vs us by the way Nicky – I have had tremendous support and encouragement from some commercially published authors, including one massive best seller. I’ve also recently had my manuscript read by an agent who knew it was already self published and gave me a very positive review – which suggests that the dust is nowhere near settling yet! I enjoy finding non-commercial eBook writers and discovering their work for myself. I will still read a commercial book but there is a thrill of finding really good stories from self-published authors. Several eBook writers have utilized non-traditional writing styles and incorporate multi-media into their stories.